“Robbing people of their actual history is the same as robbing them of part of themselves. It’s a crime. Our memory is made up of our individual memories and our collective memories. The two are intimately linked. And history is our collective memory. If our collective memory is taken from us – is rewritten – we lose the ability to sustain our true selves.” Powerful words from Japanese author Haruki Murakami. Words that are echoed by many others, including Julian Barnes, who writes, “Memory is identity….You are what you have done; what you have done is in your memory; what you remember defines who you are; when you forget your life you cease to be, even before your death.” Which raises the question of just how do we preserve the past? 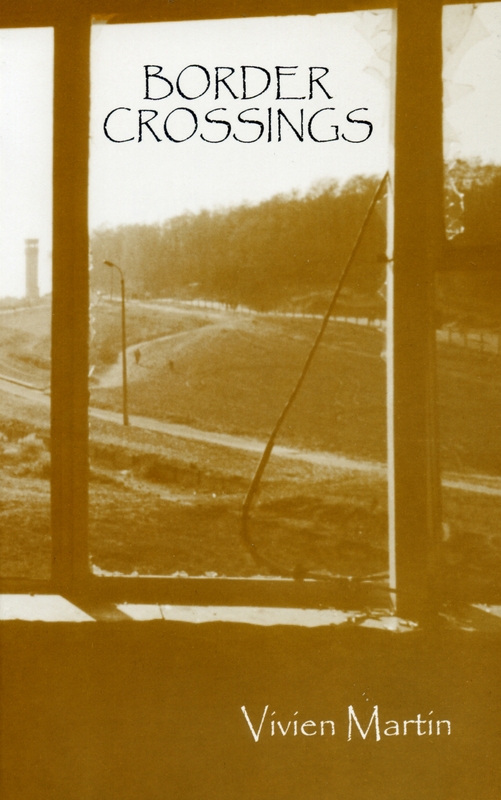 Who decides what remains of that collective memory? Who writes our history? There’s a familiar quote which runs like this, “To the victor the spoils.” Those spoils, however, are more than just material gains. They include the power to create the account of events that will become history. Those victors are allowed to give the ‘official’ version of what happened. Versions that glorify particular events or people, and all too often fabricate a past that didn’t exist, taking the collective memory down a path of untruth. It’s been happening since the dawn of time, and it takes time and effort to redress the balance. Just think how many people still believe Shakespeare’s version of Macbeth, unaware of how successful a monarch he was, so much so that he could leave a stable, well-governed country and go on a pilgrimage to Rome. 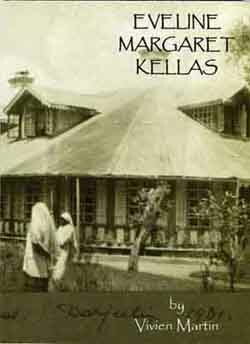 Wartime secrecy is a boon to those who wish to create history with a particular agenda. Churchill is a prime example of that. His orders to destroy so much at the end of WWII gave him room to write an account of events that put him centre stage and ‘do a Richard III’ on former colleagues. Fortunately there are now versions that show events more honestly, Clive Ponting’s Churchill being one of them. Accounts which redress some of the imbalance. We’re awash with fake news today. Statements are made by politicians that are blatantly untrue, yet go unchallenged. And, more dangerously, seep into the public consciousness to become fact. Yet there are ways to counter this. Knowing where to look for original source material is one. Being aware that all historians, journalists and broadcasters present news from a particular viewpoint – no-one is totally impartial – is another. But there’s also the pleasure of finding out for yourself. 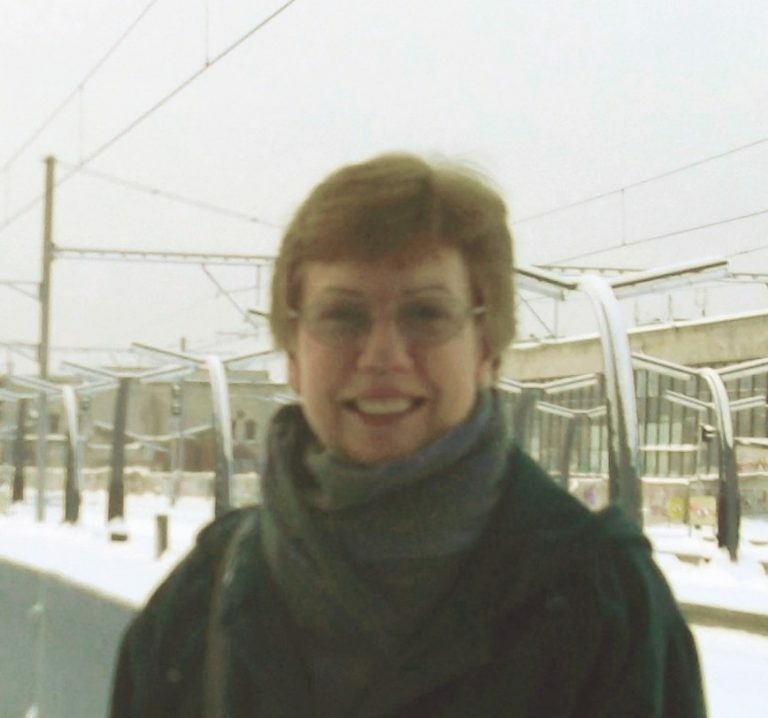 Of getting out and about in your own country and visiting those places which, through their very antiquity, have so much to tell us about past events and what those events meant to those who lived through them. And how those events shaped the lives of generations to follow. 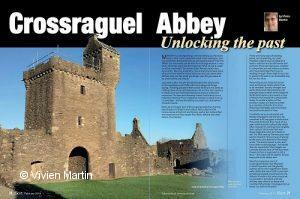 Taking Crossraguel Abbey as an example, I’ve tried to do just this in my current iScot article. What you remember defines you. What a nation remembers defines it too. The past is all around us – just waiting for you to come and find what really happened! Spent time in a queue in the Post Office recently? Stamps for Christmas cards? Parcels to post? 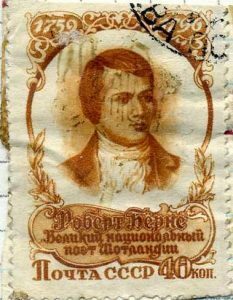 This is probably the one time of year many of us use stamps. They’re such small things that we tend to take them for granted. Yet, before their introduction in 1840, you had to be rich to communicate with anyone who didn’t live close to home. 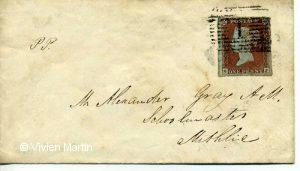 The Penny Post was a huge, beneficial, change for ordinary people and letter writing flourished. Postcards appeared and greeting cards for every occasion soon followed. 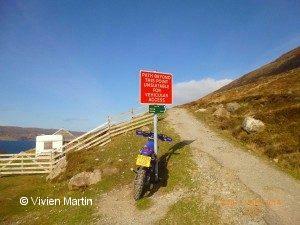 Postmen in rural areas travelled mile after mile over rough terrain to make sure that the post got through. 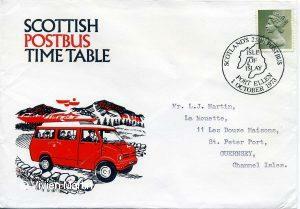 Getting mail to Scottish islands could be a real test of ingenuity. Everything was tried; from sheep’s bladders to rockets! Post offices abounded and were at the heart of small communities everywhere. Everything came by post! 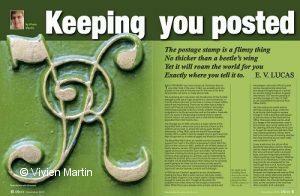 The vital contribution made by postal workers was celebrated in the 1936 GPO film Night Mail, with W.H. Auden’s famous poem recited to the rhythm of the rushing wheels of the train. And there’s much, much more! 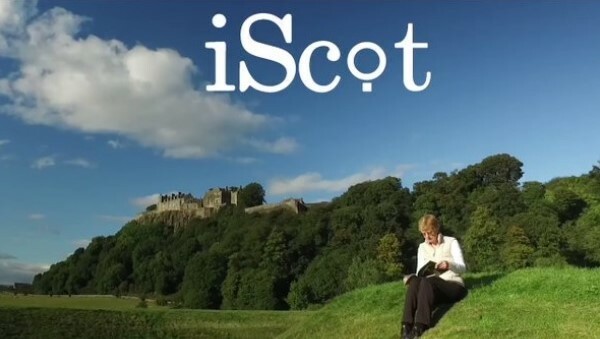 Whether you prefer print or digital download, it’s all there to be discovered in December’s wonderful iScot magazine! Time and tide may wait for no man, but the hills do. And in Scotland we have some of the most magnificent hills and mountains in the world. Mountains that were forced into being over 400 million years ago when three continents collided, creating a mountain chain of umimaginable proportions. Mountains that, over millenia, have been worn away by ice, wind and water to reach the forms we see today. Sadly there’s no Tardis to take us back to witness those times, but the story of the Earth’s formation can be read in the physical landscape itself. 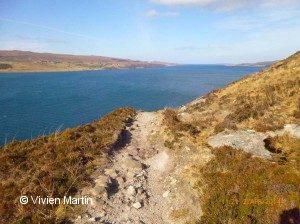 One man in particular came to understand the language of the rocks and that was James Hutton (1726-1797). Hutton was one of those remarkable Scots who fuelled that great intellectual and scientific movement, the Scottish Enlightenment. It was an exciting time when many people started to look at the world with new eyes and came to a new understanding of how the world had been shaped, and how it worked. They not only discovered the patterns at work within the natural world, but also those which applied to the social structures that shaped human life and society. 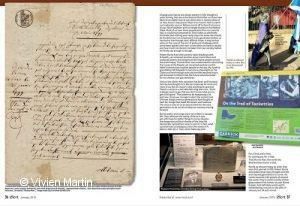 Hutton’s work was so groundbreaking that he would become known as the Father of Geology. And it still impacts on us today, even if not always in the most expected of ways! 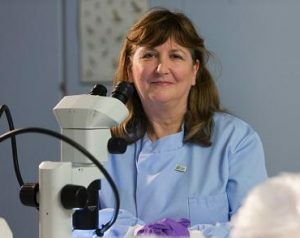 Take, for example, the work of forensic geologist, Prof Lorna Dawson, of the James Hutton Institute, whose work in soil forensics has brought some very vicious criminals to book, both here and around the world. 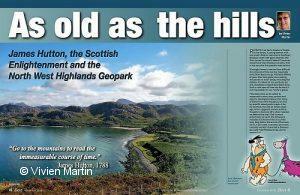 Reading the landscape isn’t always straightforward, but a visit to the North West Highlands Geopark can help you understand some of the processes involved in the creation of modern Scotland. And offer one of the best holidays you can imagine! 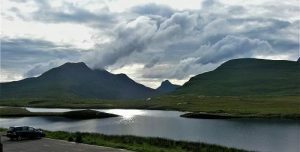 The North West Highlands are a part of Scotland that I’ve visited often and love deeply. 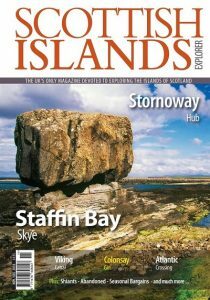 In this month’s iScot Magazine article I look at some noteable places in the geopark and at why they are important to us all. If you don’t know this part of the world, it’s an article that will give you plenty of ideas and much food for thought. And, I hope, the desire to head to the hills for a visit. They’ve been around for a very long time and are just waiting for you! The clocks have gone back and the nights are definitely drawing in. Autumn is firmly in place and the trees are looking glorious in their shades of red, russet and gold. With the days noticeably shorter, those long days out-of-doors are over until next spring. But that doesn’t mean there aren’t still places that can be visited and enjoyed in the shorter daylight hours available. From where I live, Glen Fyne and the surrounding area is just such a destination. 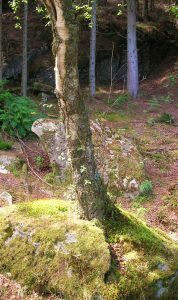 Starting at the walkers’ car park by the old Telford Bridge at the head of Loch Fyne, or from the Oyster Bar car park, there are walks aplenty to choose from. 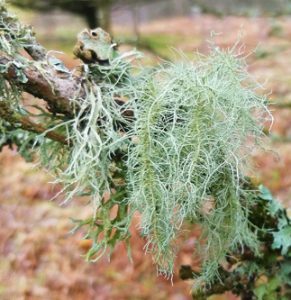 The shortest of these walks takes you firstly to Kilmorich graveyard, a medieval burial ground, then on to the ‘Tree Hoose’, half a mile or so further up the hill. As the tree house is full-size, there won’t be many adults or children who won’t enjoy a visit. From the upper platform, set in the canopy of a large ash tree, you can savour the long views up and down the glen, or let your imagination run free and be a pirate in the crow’s nest of a many-masted galleon! 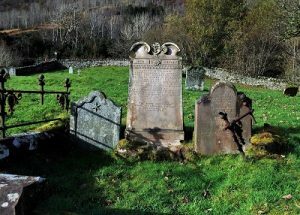 The burial ground at Kilmorich is very ancient and first appears in written records in the mid-13th century. Although once home to a parish church dedicated to an Irish saint, St Muireadhach, nothing remains today of the medieval chapel. 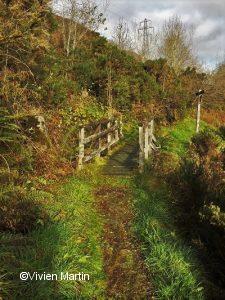 Interestingly though, the path up to the tree house is on the route of an old ‘coffin road’. These coffin roads were used in the days when only certain churches had burial rights (as Kilmorich had) and the coffins of the dead often had to be carried long distances to their final resting places. The D-shaped enclosure around the burial ground dates from the 19th century, while the present day church of Kilmorich, situated in Cairndow, was built in 1816. But the old graveyard wasn’t totally forgotten and some of the trees around it are thought to have been planted by parishioners in 1819. According to Kirk Session records, a group took young trees to the old kirkyard to mark its special place in their lives, planting them ‘for to ornament the place where their Relations who have gone before them & their Forefathers have been Deposited’. 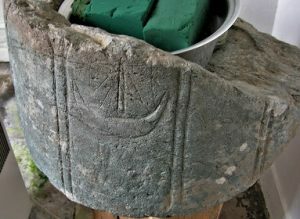 Also in the 19th century, a late 15th century font, complete with an incised galley, was removed from the old graveyard. 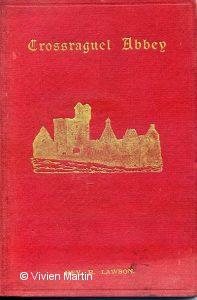 It was then forgotten about until it found again very many years later at Inveraray Castle. 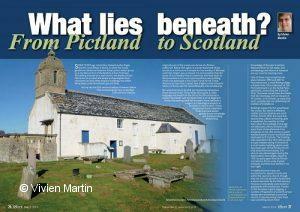 It was finally returned home in 1990 and can now be seen in the vestibule of Kilmorich church in Cairndow. 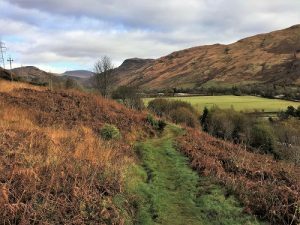 There are a host of other walks and bike rides up and down this lovely glen and some take you well up into the surrounding hills and mountains. And you certainly won’t go hungry, as there are eating places here too. There’s a great café at the Tree Shop, which sits beside the Here We Are centre in Clachan. Then there’s the smoked seafood of your choice at the Oyster Bar, or the beer of your choice at Fyne Ales, or over in Cairndow the Stagecoach Inn. When winter approaches and the weather can be daunting, even a few hours out-of-doors can be just the boost we all need. So get a map and see what’s near you that’s worth exploring, and go for it! 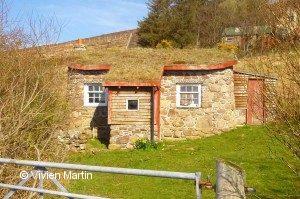 Holiday accommodation comes in all shapes and sizes. Sometimes the reality turns out to be not quite as it seemed in the brochure, while on other occasions you arrive to find it’s even better than expected. Coillabus on Islay was one of those, especially when we arrived at the lodge and saw the breathtaking 180° views over the north-west of the Oa. 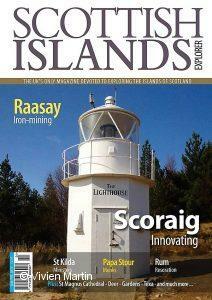 In fact, we could even see all the way along Glen Astle to the Rinns of Islay lighthouse on the small island of Orsay! 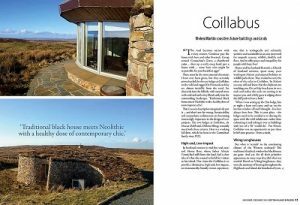 Set into the hillside, the lodge is almost invisible from the road, with curving stone walls and a turf roof that blend into the surrounding landscape: “Traditional black house meets neolithic with a healthy dose of contemporary chic”, as one description imaginatively puts it! And that’s not far wrong. Even the instructions on how to get there were magical: “The road becomes narrow with twisty corners in places. Continue past…the house with hens and other livestock. 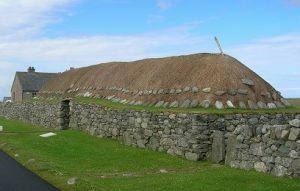 Go up round past Connachan’s Grave, a chambered cairn on your left…then up a really steep bend past a house with…more hens who might be responsible for your breakfast eggs”! How often do you get directions like this! The Oa is home to a large RSPB reserve as well as a wealth of archaeological and historical sites. The American Monument, visible from miles around, marks the tragic loss of life when two US troop ships sank off the peninsula in 1918. And, as on so many Scottish islands, there are signs of old abandoned settlements, many from the time of the Clearances, when landlords forced tenants to leave their homes. This area once supported many more families than it does today. 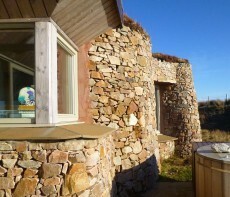 However, there is continuity with the island’s past as the Coillabus lodges lie within a family-owned working hill farm and were built with local stone by local craftsmen. The modern, environmentally-friendly underfloor heating makes for a warm and comfortable stay. We were fortunate to have good weather during our visit, but the lodge is so well insulated the weather almost didn’t matter! In fact, you could say it’s a ‘weatherproof’ house where the drama of a storm raging outside would be thrilling to watch through the magnificent panoramic windows. 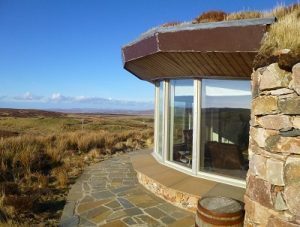 In the current issue of Scottish Islands Explorer I look at some of the ways architects are taking the best from the past and combining it with modern technology. Coillabus, and properties like it, give the lie to the notion that eco-friendly living means a primitive existence! In Scotland we’re well on the way to meeting our electricity needs through renewables. Using air and ground source heat pumps, it’s great to see a growing number of buildings where the old meets the new to create something both sustainable and comfortable – and in this case very much in keeping with a glorious island setting. Coillabus is undoubtedly an example of the way to go! Question: What’s the connection between Outlander and the lost Roman legion in the film The Eagle? 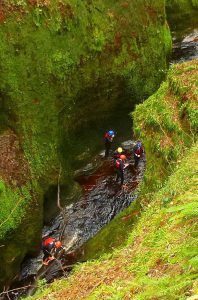 Answer: The dark, dank and decidedly creepy gorge in Finnich Glen, that comes complete with a curious sandstone rock known as the Devil’s Pulpit! Imagine you’re a film producer and you need a location that’s shadowy, murky and menacing. Somewhere timeless and atmospheric. Secret, subterranean and definitely spooky. 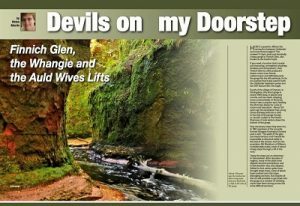 The gorge at Finnich Glen, also known locally as the Devil’s Pulpit, fits the bill exactly. 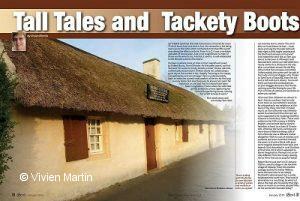 And so it was that it came to feature in both the Outlander television series and the film The Eagle. 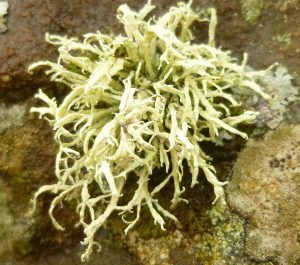 South of Drymen, the gorge is 100ft deep, at times very narrow, with sheer, dripping moss-covered walls. 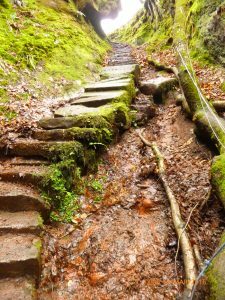 An old Victorian stone stairway is one way down to the bottom of the gorge. Over the decades the steps have slipped and become precipitous. Winter gales have brought down trees, some of which have crashed onto the steps, dislodging sections. But despite that it’s still possible to get down as ropes have been strung across the most difficult sections. Several scenes in the feature film The Eagle, starring Jamie Bell, Channing Tatum and Donald Sutherland, were filmed in the gorge. 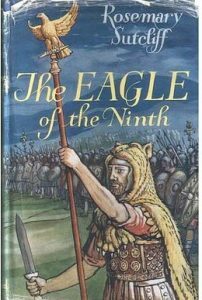 The plot is closely based on Rosemary Sutcliff’s novel The Eagle of the Ninth, which was written in 1954, and has remained popular ever since. It was the first in a very successful series of stories set in Roman Britain and recounts the tale of the mysterious disappearance of the Ninth Legion. A mystery, and a matter of heated debate among historians, to this day. Diana Gabaldon’s phenomenally popular Outlander series, has caught the public imagination and interest in its filming locations in immense. Finnich Glen is the setting for St. Ninian’s Spring, where a drink from the sulfurous water acts as a type of lie-detector. Should Claire lie to Dougal after drinking it, she will suffer dire consequences. However, she tells him again that she is not a spy and remains unharmed, at which point Dougal finally accepts this as the truth. This ‘truth forcing spring’ has brought more and more visitors to Finnich Glen. But what does the devil have to do with it? And why his pulpit? The answer may lie close-by in another strange and outlandish geological feature known as the Whangie, a very popular local walk and climb. Legend has it that Auld Nick, the devil, finding himself very late for a meeting at the local witches’ coven, rounded the mountain so swiftly that his tail sliced through the hillside, creating the bizarre cleft called the Whangie. Perhaps the Devil’s Pulpit was where he had been lurking with dubious companions beforehand. Who can tell! The gorge is a natural sandstone canyon created over millennia by the fast-moving waters of the Carnock Burn. Over-topped by a canopy of trees, the gorge can feel very enclosed and shut-off from the outside world. It can also be strangely silent, with no other sound than that of the ever-present rushing water. And it should be mentioned that, in-between being a spectacular film location, Finnich Glen is an equally spectacular gorge-walking and outdoor adventure site. It’s not necessarily a place for the fainthearted, but if Claire, Esca and Marcus could all get there and live to tell the tale, then so could you!